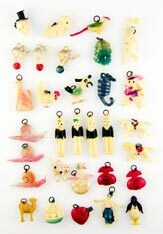 I have several vintage charms for sale. The charms that appear in My Mother's Charms say so in the description. I have a few gumball charms for sale.